Yahoo! drifted into relative anonymity for a considerable period during the 2010s, sitting on the sidelines as Google almost single-handedly dominated with its assortment of powerful Web-based apps. However, the company has been busy reinventing its image of late, and as part of that movement, the Sunnyvale outfit has just introduced a couple of new apps for iPhone, iPad and Android tablets. As well as Yahoo! Weather for iPhone, there’s a new Mail app catering to the larger displays of the iPad and Android-running tablets. Most noteworthy of these releases is undoubtedly the Weather app for iPhone, because at this point in time (and indeed, since the beginning of iOS), the native Weather app has been powered solely by Yahoo!. With this third-party app now available, it may well be that Apple has learned that sometimes, it’s better to outsource work and let companies with stronger expertise have full control, and so it wouldn’t be a surprise if this Yahoo Weather a precursor to Apple ditching iOS Weather completely. Apple was hasty in removing Google Maps from the iOS home screen, a decision which left many users feeling as though they’d had their arms chopped off, but if Yahoo Weather for iPhone is indicative of what may be around the corner with iOS 7, perhaps the Cupertino company has decided to go the other way this time around. 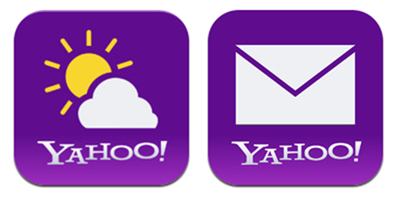 Notably, the Weather app also features close integration with another Yahoo! export – Flickr. 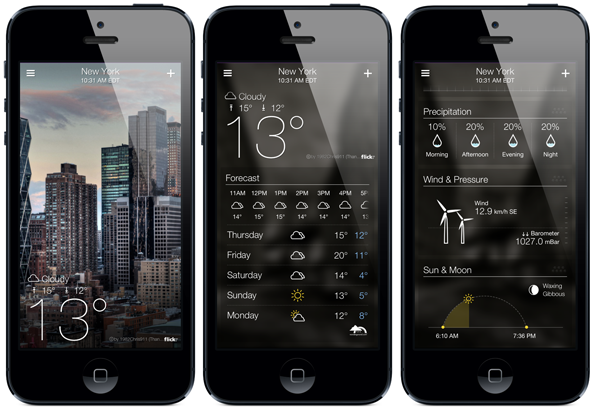 Adding a nice social aspect to proceedings, the app will let you check out user-submitted images of weather whichever city you’re stalking, which may in turn compel you to look at weather more often than just when you’re planning a picnic. 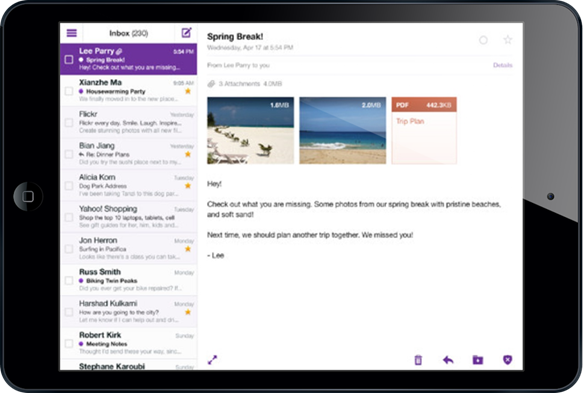 Mail is also available for the iPad and Android tablets, and looks to have been nicely arranged to take full advantage of the extra real estate offered by the larger-displaying devices. Be sure to check out our iPhone Apps Gallery and iPad Apps Gallery to explore more apps for your iPhone, iPad and iPod touch, and also our Android Apps gallery to explore more apps for your Android device.